On Monday 2nd March 2015, The Duchess of Cambridge was spotted exiting the Goring Hotel wearing Erdem’s Darla dress.The Duchess had attended the private party to celebrate the hotel’s 105th birthday. It featured a cut-out back with button and zip fastenings. It has a round neck style. It also features three-quarter length sleeves with buttoned cuffs. 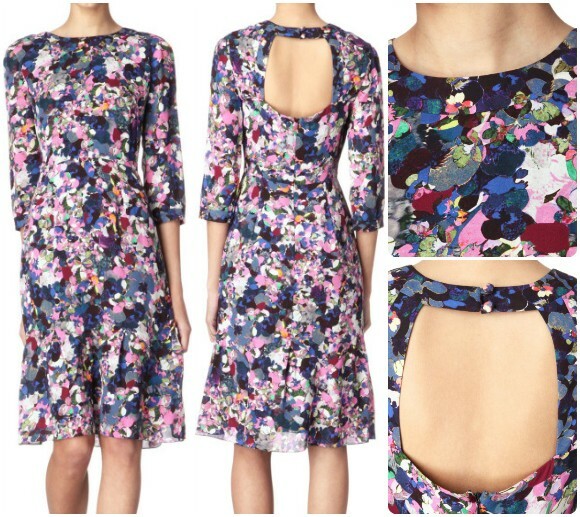 The printed dress has a flared hem. It is created from 100% silk and partially lined with 100% cupro. Reported as being true to size. 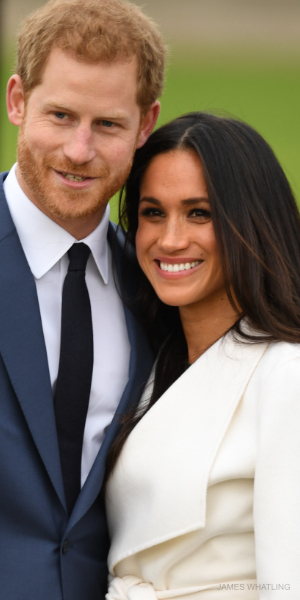 The off-the-peg dress has a cut-out back, but we haven’t seen pictures of Kate from behind to see if her dress has this feature too. 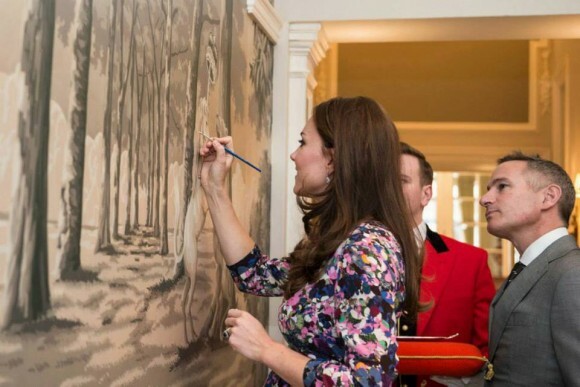 Such a detail would be unusual for Kate. Kate could be wearing a bespoke version of the dress with no cutout back. The Duchess has worn bespoke Erdem pieces in the past. 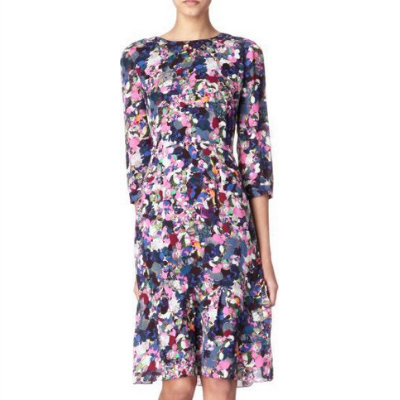 The Erdem Darla dress is now sold out, but according to Lyst, the dress retailed for £995 or $1528 USD at both Selfridges and Net-A-Porter.com previously. You may recall Kate wore a navy blue printed dress from Erdem’s same collection during a visit to a Manchester school in April 2013, again while pregnant. 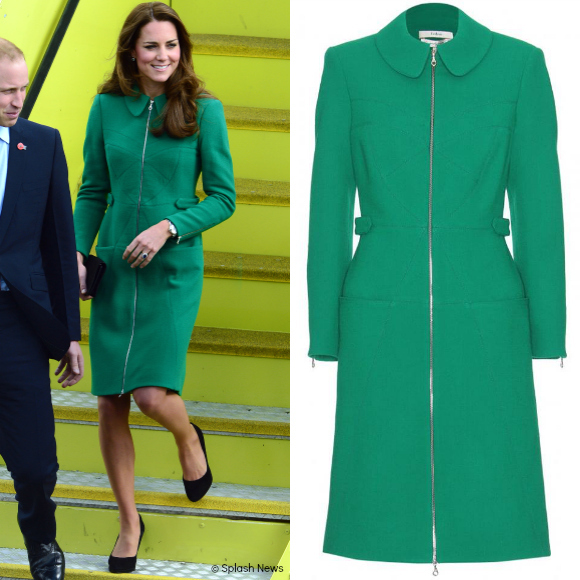 The Duchess has worn Erdem dresses (and a coat) on a number of occasions previously. Kate famously wore Erdem twice on a visit to Canada in 2011. She wore the brand again on the couple’s following tour of Asia and The South Pacific in 2012. She wore Erdem again in mid-2012, this time for Trooping the Colour. 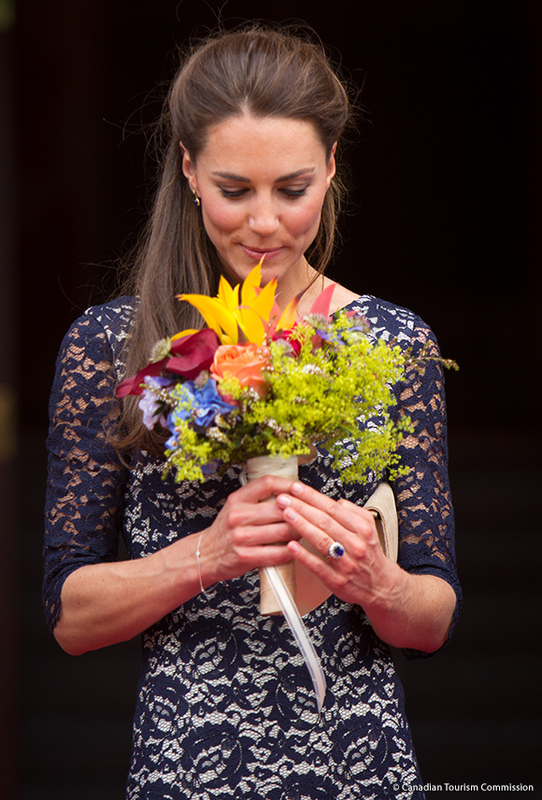 Kate choose Erdem once again in 2014, this time during the Australia and New Zealand tour. Erdem Moralioglu is the designer behind the eponymous label. 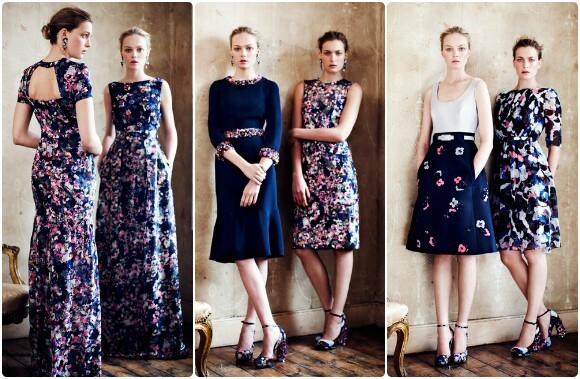 Erdem is a Montreal-raised, London-based designer known for his straight-up, ultra feminine designs.